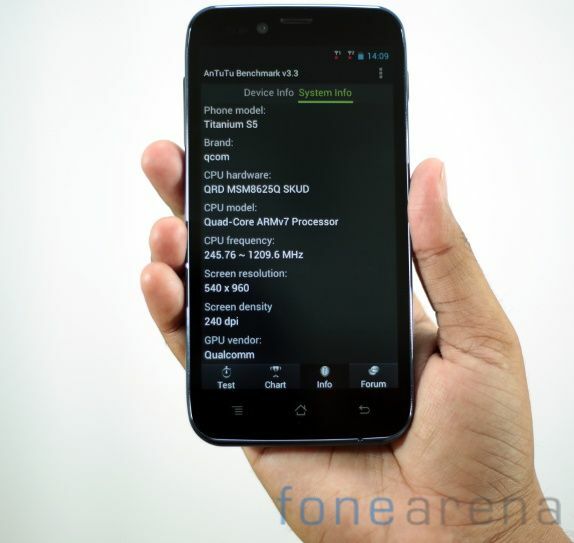 Karbonn Titanium S5 went on sale back in March. 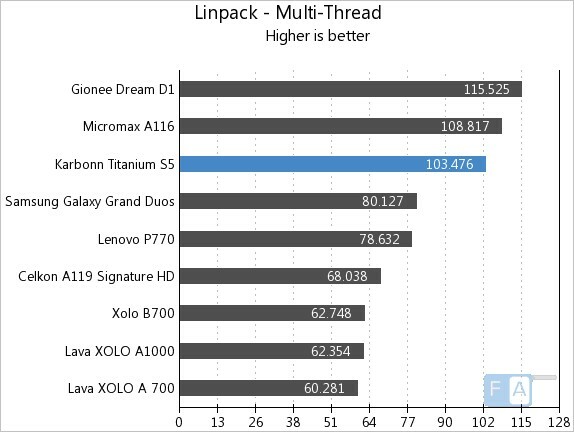 We brought you the unboxing of the device earlier this week, here we have the benchmarks of the device. The Karbonn Titanium S5 is powered by a 1.2 GHz quad-core Qualcomm Snapdragon 200 MSM8625Q processor with Adreno 203 GPU. It has a 5-inch qHD (960 × 540 pixels) multi-touch capacitive touch screen IPS display and runs on Android 4.1 (Jelly Bean). Let’s find out how it performs in the benchmark tests. 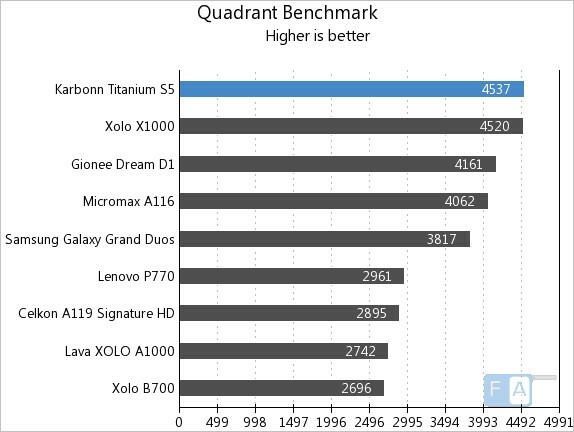 The Karbonn Titanium S5 tops the Quadrant Benchmark. 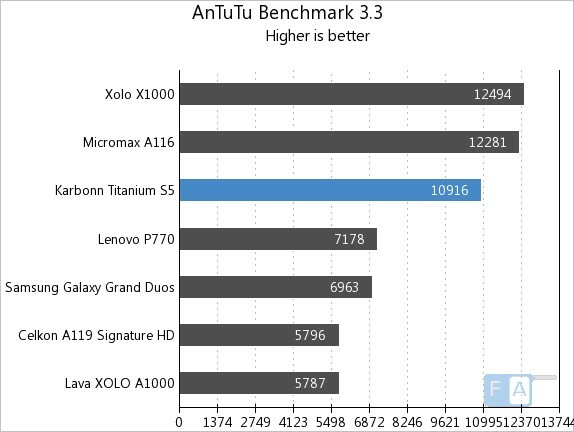 In the AnTuTu the A116 is better than the Titanium S5. 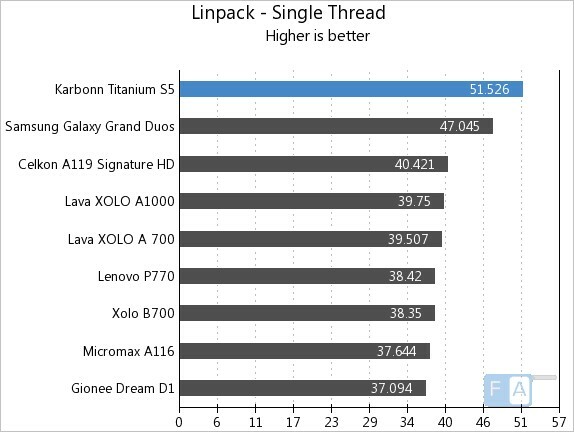 The Titanium S5 tops the linpck Single Thread benchmark, but the Gionee Dream D1 and the A116 scores few points more than the S5. 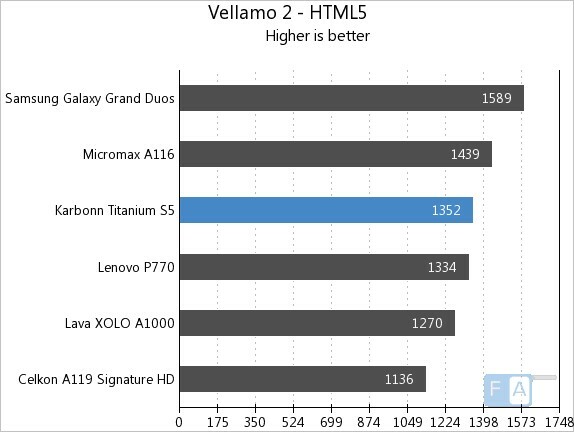 In the Vellamo 2.0 HTML5 browser benchmark, the phone manages to score 1352 points. 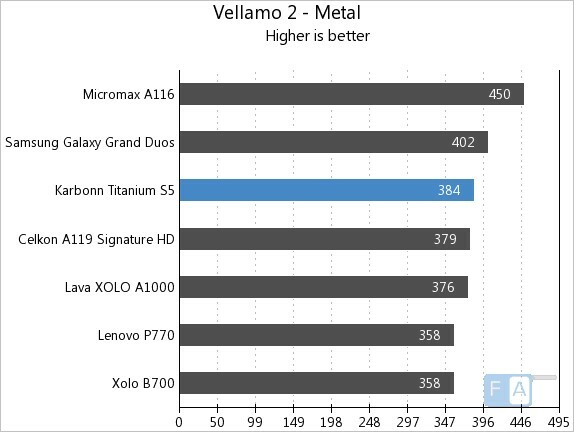 It scores 384 points in the Vellamo 2.0 Metal CPU subsystem performance. 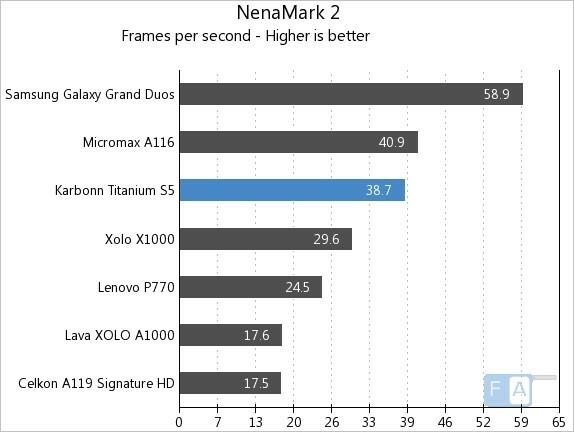 It manages to clock 38.7 fps in the NenaMark 2 GPU benchmark. Since the Grand Duos has a low resolution display, it tops the benchmark. 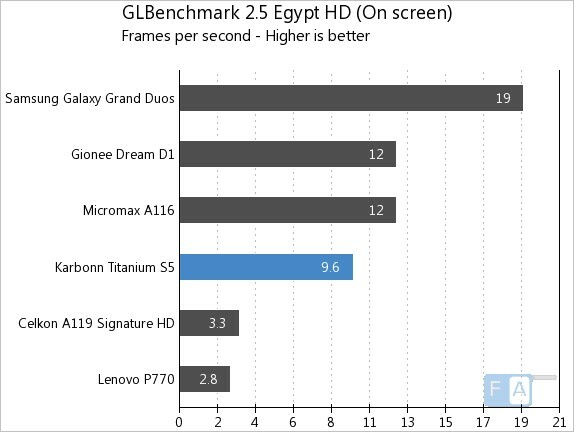 The Karbonn Titanium S5 clocks 9.6 fps in the GLBenchmark 2.5 GPU Benchmark. We will bring you the complete review of the phone soon.